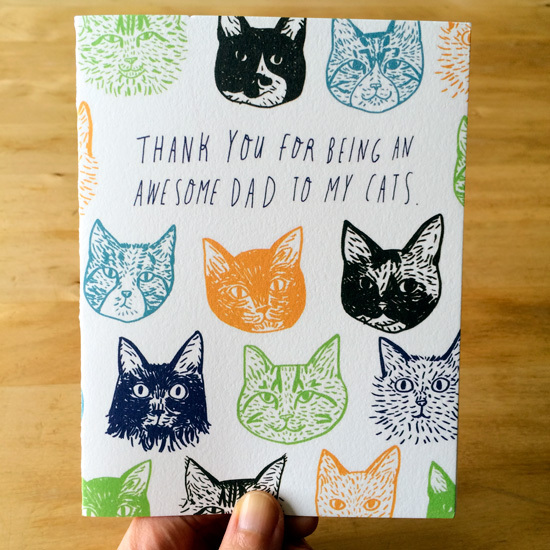 How are you going to celebrate your (cat-loving) dad this year? I’ve always loved cats since I was little. Since my parents wouldn’t let me have cats for a long time, I fantasized about having one pretty much 24/7. My husband, Dave, always loved animals and was more of a dog person when we met. He was even allergic to cats growing up. But magically, he grew out of his cat allergy as he got older – it’s like he was destined to meet me, a hopeless cat-lover! 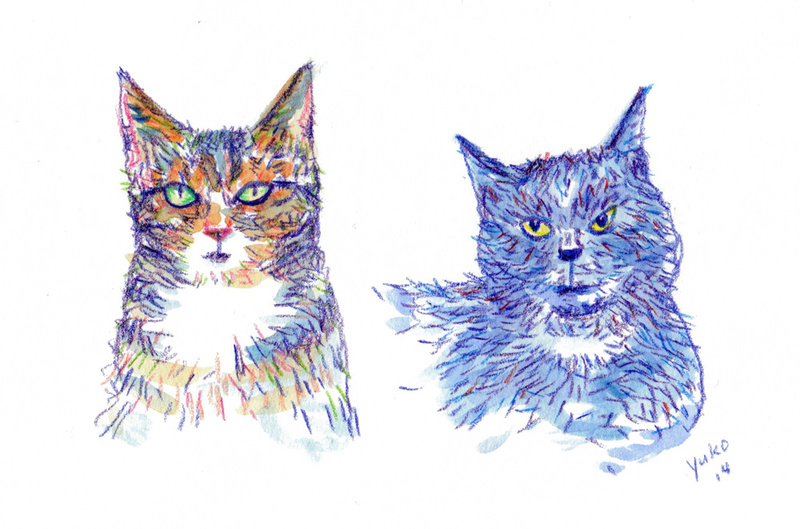 I had my two cats, Lulu and Sheppie, from my previous relationship, when we met. They were pretty much my babies. It was important to me that whoever I’d bring in to our life would understand how important they were to me and at least tolerate them, if not love them. To my delight, my kitties won him over pretty quickly with their cuteness, loving personality (in their cat-like ways), and their comical antics. Dave is so sweet and loving with any and all cats he meets. I sometimes wonder if he’s become a bigger cat person than I am now! 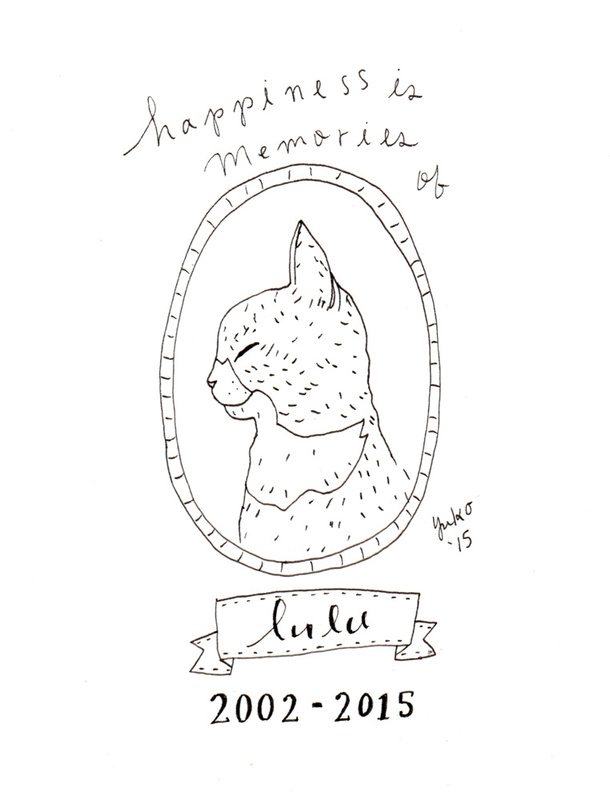 We’ve been through some scary and tough situations with our cats, too – especially, losing Lulu last year was extremely heartbreaking. He’s been my rock through thick and thin, and I’m really grateful to have him in my life. On Father’s Day, I like to thank him for being an awesome dad to my cats. And, I thought there might be other people who want to celebrate their cat dad, too! So I decided to share this special Father’s Day card with you. 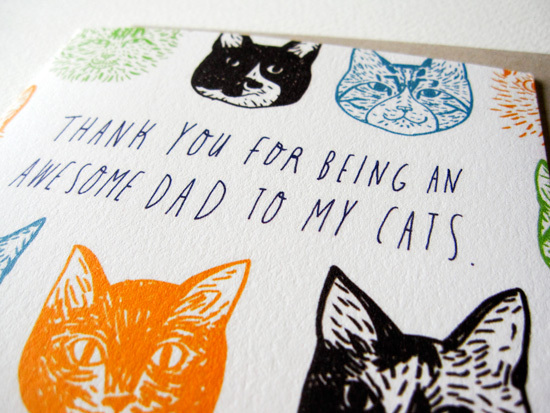 “Thank you for being an awesome dad to my cats.” Father’s Day card, 4.25″x5.5″ folded, blank inside. Make your special (cat-obsessed) man smile this Father’s Day 🙂 You can order yours here. p.s. 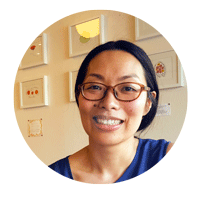 I’m going to be closing my shop between June 1 – 12, 2016 so please place your order before May 30th in order for your card to be shipped by May 31st!